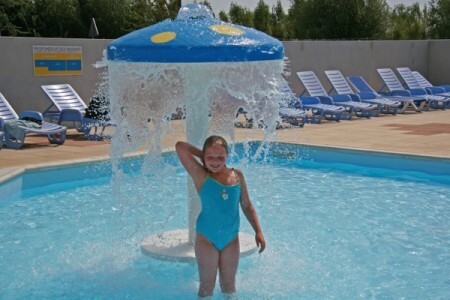 Discover our campsite aquatic area! 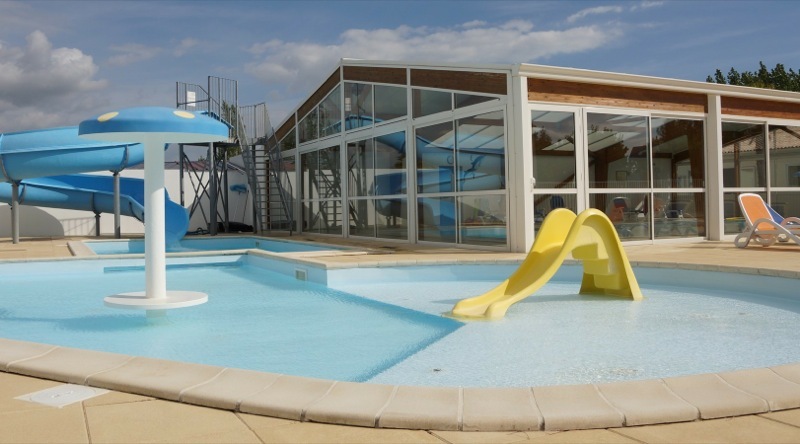 3 pools: a heated indoor pool, a paddling pool with water games and a pool with a slide. 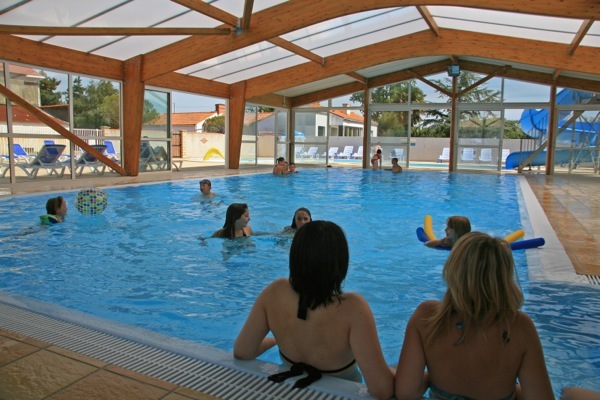 3 options to swim all year long in Vendée! In May 2007, our new aquatic area of 750 m² was opened for the pleasure of our guests. 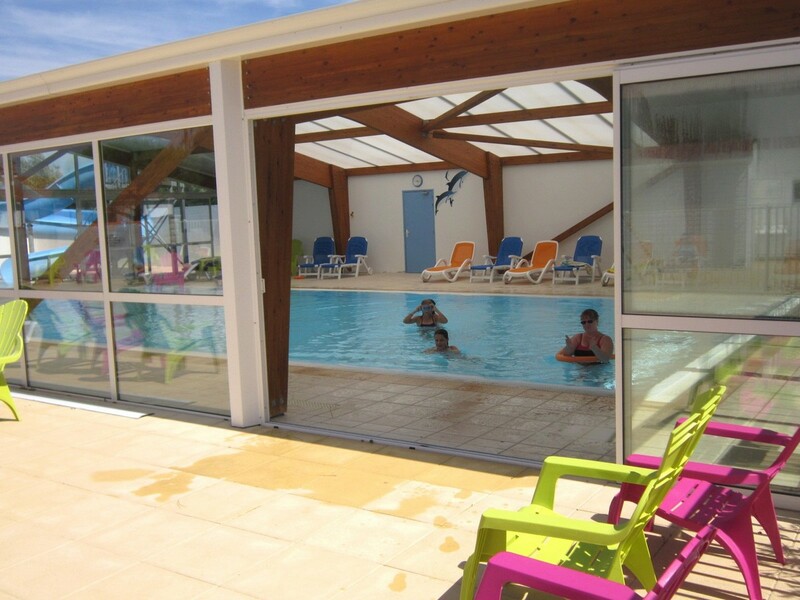 At that time only 2% of the campsites in France had an indoor pool ; it was one of the first to be fitted with a ratio (number of pitches / pool capacity) so high. 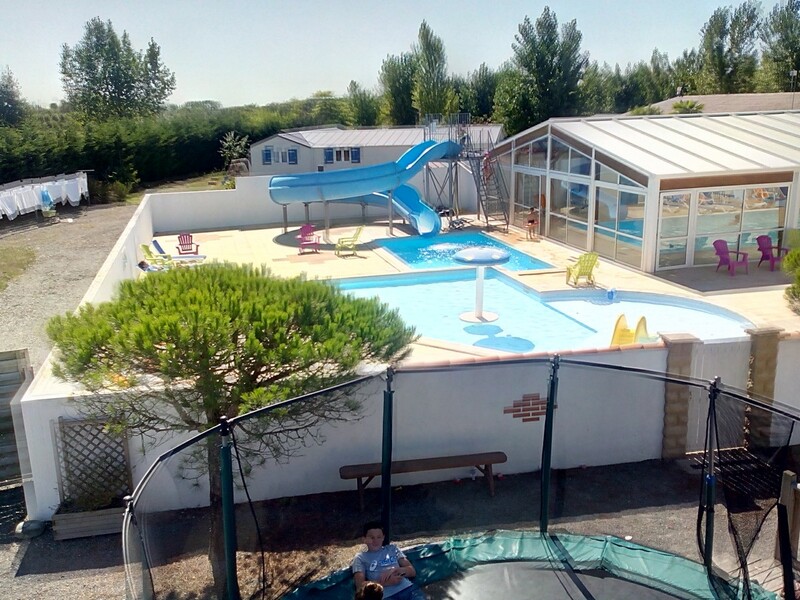 Indeed, if we calculate the coefficient of basin areas the number of locations, the ratio is one of the most important of the Pays de Monts campsites. A large covered pool of 90 m² will provide you an incredible well-being. 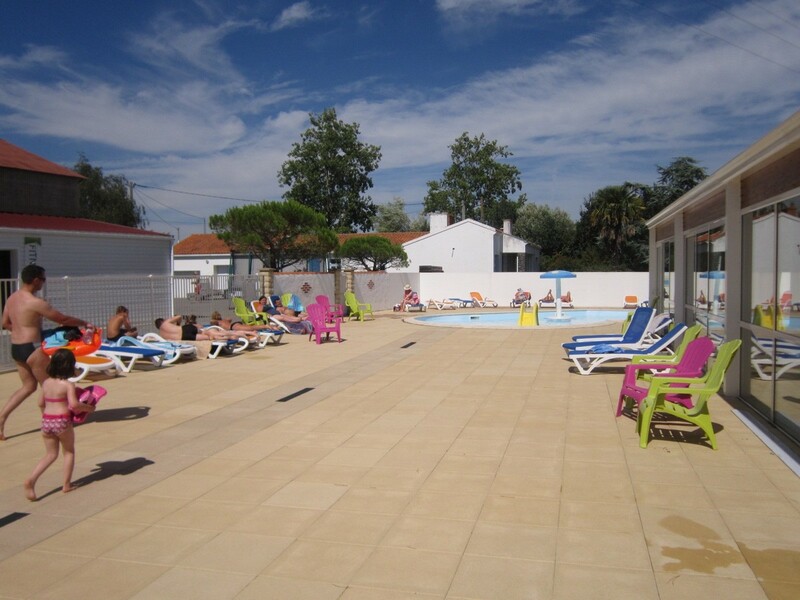 From the opening in April, you will be able to enjoy the comfort and the space on the sun loungers! Summer: From 10.30 am to 1 pm and from 3 pm to 8 pm except on Saturday: closes at 7 pm and reopens from 9 to 10.45 pm. 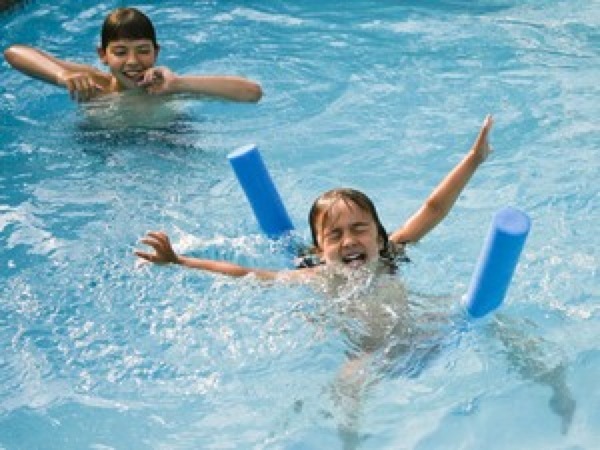 it is mandatory to wear a swimming trunk or a swimsuit and to shower at the entrance of the pool. Lockers are available for your clothes and shoes. To reduce our environmental footprint the water flow is set on request off season. You simply go to the reception to ask for it. In high season and peak hours, settings are programmed automatically.